In this webinar, Bob Iaccino and Mike Arnold, founders of Path Trading Partners, will teach you teach you the 10 trading rules critical for success in any market you wish to trade, starting with Nadex. This webinar is suited to both experienced traders novice traders and is a stand-alone lesson, so you don’t need to have watched any previous webinars to keep up. 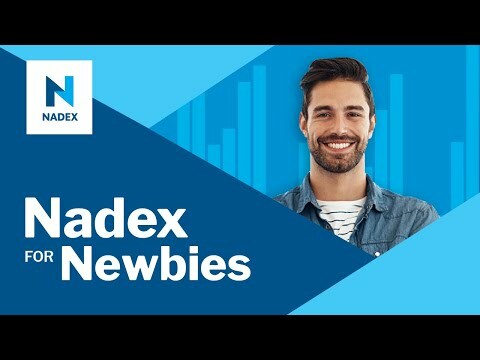 Presenter: Bryan Caprice with Major League Trading The 30m Trader is a methodology created to take only 30 minutes a day to analyze, create and manage your trading using Nadex. Some traders can’t wait to move demo to live but are not prepared for the mental and psychological issues they will face. Join John Skelton with Apex Investing Institute as he discusses various ways to utilize the Nadex Strike Ladder and charts to manage your binary trades. So you understand how a binary works, but what strategies do you use now? What price should you buy or sell a binary at? Does time matter with binary trading? On high volume days the markets can make big moves. But what if you are not sure what direction it will go ahead of time? Please join James Ramelli, with Nadex educational partner AlphaShark Trading, as he discusses one of the lesser known, but highly regarded price action indicators, the Ichimoku Kinko Hyo. This interactive webinar featuring the founder of TradersHelpDesk, Gail Mercer, will show you how to read the most common candlestick bar patterns. This interactive webinar featuring the founder of TradersHelpDesk, Gail Mercer, will provide an overview of the differences between the Nadex charts and other charting platforms. For this webinar we focus on ITM option strategies available on Nadex. Nadex, in conjunction with our educational partner Path Trading Partners, is delighted to invite you to the next presentation in its series of free live trading webinars. In this webinar, we will look at 5 market moving indicators that are commonly watched across most markets. Bob Iaccino and Mike Arnold, founders of Path Trading Partners will present their break down of the Nadex spreads. Are you one of those trader’s that feel they should be sidelined during choppy markets and need trending markets to trade? Have you ever heard “ The trend is your friend ”? Do you have trouble determining the trend and the direction of your trades? Are all binary options created equal? Is there a reason to choose one over the other based on your strategy? Did you ever notice how some markets seem to move in tandem, or at least in the same directions sometimes? Each week it seems there is a new round of event risk hitting markets. The new Nadex Touch Brackets are awesome for trading the longer time frame price patterns. Price patterns occur on all time frames but the longer time frames typically provide the most movement.